Illegal drugs are a popular craze among the youth today. This may sound odd, seeing as the drugs are ‘illegal’ and yet the practice is so prevalent. Trying to picture a party today, and what would instantly come to mind would be the loud tunes of Tomorrowland, Ultra Music Festival, and Electric Zoo along with bright flashing lights and finally copious amounts of illegal substance use. A party of this kind is known as a rave. The drugs are often a way for partygoers to be able to keep going until the dawn, and experience heightened feelings of social connectedness. With effects such as that, these drugs would appear to play a vital role in keeping the parties going. A rise has started to occur in the knowledge and use of what is popularly termed as club drugs, also known as designer drugs. The reason for such a name is due to the fact that these types of drugs are often synthesized, (e.g. Ecstasy and Ketamine) rather than being found in nature (such as marijuana). Drugs are known to be harmful, and yet the rate at which they are used tells us that there are a variety of reasons people consume them. Some experiment with recreational drugs with the intention of having as good a time as possible, while others succumb to peer pressure and are drawn into use. 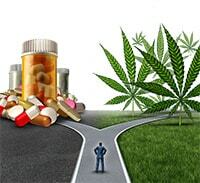 Furthermore, there are those whose drug use stems from inner turmoil such as depression or stress. One of the biggest concerns relating to drug use is the ability for almost all to become addicted to these substances, and the addiction isn’t only related to the illicit drugs. Commonly used and very much legal drugs including sleeping pill, painkillers and sedatives can also cause innocent individuals to become addicted and this is a huge issue. This is a very sad matter when it is considered. Individuals with no wish to abuse drugs may end up addicted to what they would consider harmless, or rather, helpful drugs. The movie ‘Requiem for a Dream’ shows just how addictive and negatively impacting drug abuse can be on everyone from illegal drug abusers to those abusing prescription drugs due and have become addicted to them. It ends well for nobody. The total number of substance abuse related deaths is a hard total to pin down, though the 2014 estimate of 207,400 can give some idea of just how extensive it is. The effects of the drugs can be devastating on its users, with major health and life issues liable to arise. While addiction to drugs is all too common in the world, many cannot quite comprehend the hows and whys behind its use to such an extent. The UAE is, of course, looking to avoid an issue of this kind within the country. Such a scourge would have only negative impacts, and as such, the countries security authorities are making great efforts to prosecute drug addicts and drug traffickers. Of particular emphasis within the laws is the pursuit of those who may be tempted into using or entering into the drug trade. One such implementation was the recent amendments to the Anti-Narcotics Act, which had contributions towards the treatment of addicts, and the rehabilitation process which would allow them to reintegrate with society and their families. The aim is to redeem them before their cases become irredeemable. The stated purpose of these amendments has been in the interest of society and the individuals, as treatment required for an addict is different from the treatment required simply as a patient. With the appropriate methods of treatment, a more positive outcome will be possible, and this would be a preferred outcome. The UAE legislator also imposed more appropriate penalties for drug-related crimes, with the aim of deterrence. The hope here is to stem the spread of this scourge. 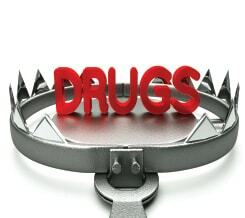 These are two of the primary forms of narcotics handling and are the primary aspect in the matter of drug crimes. Every deal in these materials is either possession or obtainment, and both of these elements are offenses under the law. Possession or obtainment is the offense of having illegal drugs in one’s possession or smuggling them into the country from abroad. These are the material facts that are considered to be a basic presumption of criminalization in narcotics and are subsequently achieved. Federal Law Number 5 of 1985 concerns the Civil Transaction Law (the Civil Code) within the UAE. Article 1307 (1) provides that “possession is effective to control of an individual over a thing or right which may be negotiated”. It is explicable that the act of possession in itself is a physical form that expresses an actual authority. The criminal law concept of possession does not correspond to the civil transaction law. In criminal terms, it can be defined as: “a power or physical control based on certain acts and actions of a person on anything transportable of any kind in order to act for himself”. Temporary or incomplete possession: this form of possession does not include the moral element. It would be a collection of material acts carried out on the substance without the one carrying out the acts being the owner. Physical possession: Another way to think of this can be as the possession of the interlocutory hand. This form of possession is the material presence of the drug on an individual without them having the right. An easy way to picture this would be if an individual were to hold the narcotic substance on their person with the purpose of purchasing, examining, experimenting or watching it.